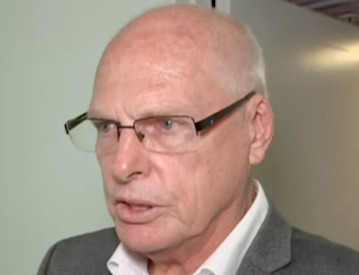 Recently sworn-in Liberal Senator Jim Molan posts inflammatory anti-Muslim videos about which he has "no regrets", lauds Australia's offshore detention centres and has a very questionable war record, writes refugee advocate Sarah Smith. JIM MOLAN is Australia's newest Senator, sworn into Parliament on Monday, 5 February 2018. For those unfamiliar with Senator Molan's career to date, it may have come as a shock to see the slew of articles that highlighted his sharing of Facebook content from the controversial Britain First Facebook page. Britain First is, of course, the group famed for what they term "mosque invasions". They are radically and aggressively opposed to Islam and are widely – and internationally – accused of racism and fascism. For example, a video Molan shared on Facebook (12 March 2017) titled, 'Muslim Thugs Beat Girl in Holland', prompted this post from one of Molan's followers: 'Charming. And we're meant to be tolerant, accepting and welcoming of this '"breed" in our country'. Molan gave a one-word response: 'Unbelievable' — which could lead one to assume he was in agreement with the sentiment of the comment. “I’ve put my life on the line for Islamic countries ... for people to say this is racist I find deeply offensive." For context, Jim Molan's name rings alarm bells for many thousands of people. He is known colloquially as "The Butcher of Fallujah" for his time leading the Coalition assault in Iraq against that and several other Sunni cities, including Najaf and Samarra. When the bombing began in October 2004 (both planned and orchestrated by Molan himself, as the third-highest ranking Coalition officer in Iraq at that time) the city remained home to approximately 30,000 to 50,000 civilians – many of whom had been prevented from fleeing, others who were simply too old or infirm to make the journey – and their families, who refused to abandon them. Once the bombing began, all routes out of Fallujah were sealed off by Coalition forces, leaving everyone who remained inside trapped and unable to leave. Aid agencies, including the Red Cross, were prevented from accessing the city with drinking water, food or to provide medical treatment for the growing numbers of injured civilians. Molan held the lives of tens of thousands of men, women and children in his hands, and flagrantly disregarded the protocols of war. Following this brutal assault, Fallujah's only hospital was seized by Coalition forces. They broke down the doors, armed with Kalashnikovs, to the shock and bewilderment of staff and patients alike, who knew this was also a violation of the Geneva Convention. The motive for this attack? It is believed the city's two medical clinics were also bombed and rendered unusable. In addition to this, Coalition Forces have been linked to the use of white phosphorous, a chemical weapon that rapidly eats away at the skin, flesh and bone of anyone who comes into contact with it — another violation of the Geneva Convention. These were Jim Molan's words when he appeared on Q&A (Monday, 10 October 2016) to defend his Abbott-commissioned creation, Operation Sovereign Borders — the purpose of which is to prevent asylum seekers and refugees from settling in Australia. We know this to be an outright lie. There is frequently no doctor at the hospital on Nauru — just a nurse. Surgery is out of the question, even if someone there were qualified to perform it, due to the lack of sterility of the rudimentary surgical facilities there. Hence, we see situations where medical conditions remain not only untreated but in a facility that doesn't have the capacity to provide a conclusive diagnosis, while local medical staff plead for their patient's transfer to Australia. We see newborn babies fighting infections, with local staff ill-equipped to treat them, both in training and supplies. Operation Sovereign Borders is not just a paramilitary operation — it also reflected in government policy. Parents and children can be separated for years, or even indefinitely, as those who arrived by boat generally are not allowed to bring their children to join them – even if they are the only surviving parent – and those in offshore detention with sick babies onshore are encouraged to sign away their parental rights, in direct violation of Article 9 of the United Nations Convention on the Rights of the Child. Single parents on Nauru who require medical treatment in Papua New Guinea are told to leave their children unsupervised while they travel for the procedure. Neither of these things would be acceptable for the child of an Australian citizen. In fact, we just had a fiery three-month debate, during which the far-right of Australian politics loudly advocated for the rights of a child to have, where possible, both a mother and a father. Where are their voices for the baby girl, now living with her mother in Australia, who has never met her father, left behind in Nauru by Australian Border Force? Where are their voices for the children in Sydney, settled and living with their mother, whose father is in detention in Papua New Guinea, with rapidly deteriorating cardiac health? The youngest is nine – the same age as my daughter – and is a bright, beautiful child. He's a talented artist and misses his father immeasurably. You cannot justify the concept of offshore detention to children who understand the reality of it. Morrison, Dutton or Turnbull: Who is the cruellest minister of them all? More recently, we have learned that Treasurer Scott Morrison, in his role of Immigration Minister, asked ASIO to delay the security assessments of refugees in Australian Immigration Detention, reportedly so that they would miss the deadline for a crucial asylum application that would see them released into the community. I know a group of people who were affected by this delay — they haven't seen their families in more than five years. "Australia doesn't care which country I die in, just as long as I die." Operation Sovereign Borders, as Jim Molan stated, is your "new normal", Australia. Children no longer have the right to have two parents. Some no longer have the right to one. Molan crows over the success of his precious detention regime, as both newborns and the elderly break down physically and emotionally. Babies fail to thrive, mothers try to take their own lives, school-aged children are unable to get out of bed and, when they do, are at risk of suicide or self-harm. The "Butcher of Fallujah" has power – both overseas and at home – and he confidently wields that power in flagrant violation of international law. Australia, you have allowed a dangerous man to be installed in your Senate, with barely a whimper of protest. This is someone who has made a living from curating human suffering. His anti-Islamic Facebook shares would suggest that it is simply not enough for him to kill thousands of Muslims and create the system which imprisons thousands more indefinitely. For Jim Molan, this is a crusade and, with his swearing-in on Monday, and Malcolm Turnbull's new mission to see Australia in the top ten arms manufacturers globally, it would seem Molan has no intention of finding his moral or ethical compass when it comes to human rights. Speak truth to power. Subscribe to IA.